Alcohol abuse in adolescence is the most persistent and pervasive problem negatively affecting the physical health, emotional well-being and educational performance of students, both inside and outside the classroom and recent studies have linked early drinking behavior to later alcoholism. 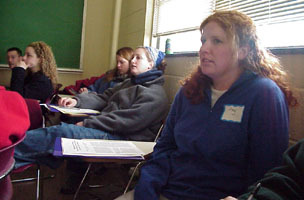 It is important that teachers be fully aware of 1) the patterns and problems of youthful alcohol abuse, 2) the resources available to become more knowledgeable about the complexities of the problem, and 3) the varied opportunities to bring these issues into the classroom in a variety of course subjects and in informal discussions with students. 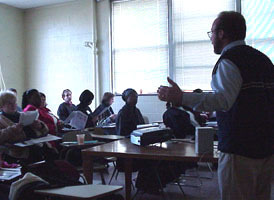 In order to enhance teacher awareness in these areas, the Alcohol and Other Drug Education Project of Hobart and William Smith Colleges sponsored a workshop for local area professionals working in secondary education and for college students at Hobart and William Smith preparing for careers in education. Dr. Perkins is Co-Director of the Alcohol Education Project and is a nationally recognized researcher, speaker, and consultant on alcohol abuse in youth and young adulthood with special expertise on topics of peer, gender, family, and environmental influences on drinking. Dr. Craig is Co-Director of the Alcohol Education Project and is a leader in national prevention efforts using electronic media and curriculum infusion strategies. He has special expertise in teaching about the biochemistry of alcohol and its effects and making the material accessible for students and teachers of diverse backgrounds. 11:15 - 12:00 Social and psychological causes of abuse in school populations. 12:15 - 1:15pm Delancey House Lunch/Discussion of common interests in Scandling Common Room; identification of key issues for elementary, middle and high school education levels; identification of potential program development strategies. 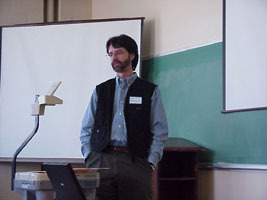 1:30 -2:30pm Using social norms as a prevention strategy for youth. "College Student Misperceptions of Alcohol and Other Drug Norms among Peers" (download article from HEC). "Prevention through Correcting Misperceptions of Alcohol and Other Drug Norms" (download article from Catalyst).